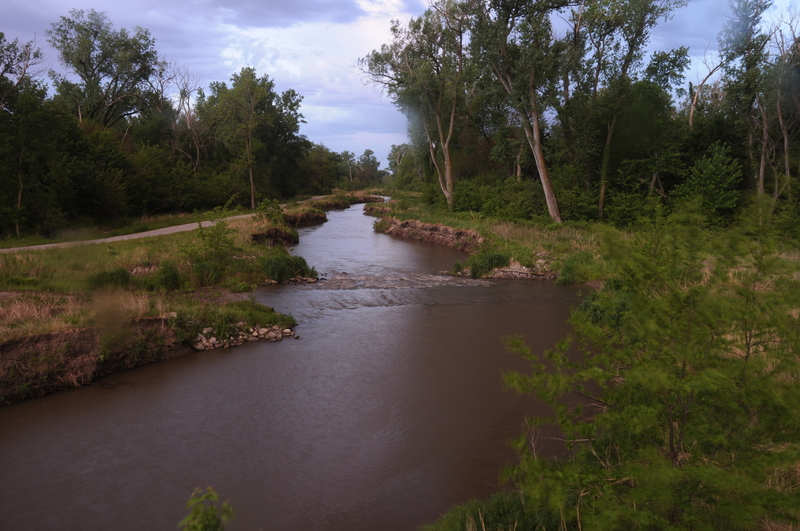 This camera is looking downstream from near the inlet of a restored slough on Nebraska National Guard property which is fed by groundwater from a nearby wetland and from the fluctuations of level in the Platte River a few hundred yards to the north. The camera will record changes in streamflow and the anticipated actions of ice and flooding on the banks and bed. The USGS has installed two data logging devices on the slough to measure a variety of variables relating to water quality. The University of Nebraska-Lincoln School of Natural Resources has been monitoring the slough for its diversity and health of aquatic life, especially fish species.